Are you ready for the GMAT exam? The GMAT (Graduate Management Admission Test) exam is required for entry in almost all of the MBA programs in the world. The part of the exam that is the most difficult for non-English speaking students is the GMAT Verbal Section. It no only requires a student to study English grammar, but also know tricks on how to take the test. Are you ready to take the GMAT exam? Take this simple questionnaire to find out. Are you able to quickly read and understand complex text? Do you understand English grammar perfectly? Have you studied the test taking method for the GMAT? Are you able to identify GMAT tricks that are included to throw you off track? Do you feel confident in your ability to answer questions with a time limit? Can you distinguish between different question types on the GMAT? Are you able to answer critical reasoning questions in English? If you answered 'no' to any of those questions, you may want to speak with one of Live Lingua's GMAT tutors. The first trial GMAT class is absolutely free. You can speak with the tutor to see if they think you are ready for the GMAT test and they can propose a study plan for you. No credit card required, and no commitment. The GMAT (Graduate Management Admission Test) Verbal section is made up of 3 themes. Since it is a computerized exam, the exact number of questions from each section will vary. The exam is designed to find the perfect level for the student, so if you get one question right, the next one will be harder, if you get one wrong, the next question will be easier. This is one of the reasons the GMAT exam can be so difficult. It consists of the following sections. 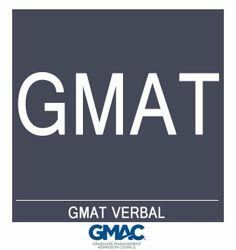 Do you have any questions about the GMAT (Graduate Management Admission Test) Verbal exam? You can speak to one of our GMAT tutors for free to ask any question you may have. They will speak with you and evaluate how prepared you are.e. Speak To A GMAT Tutor Today! What makes Live Lingua GMAT tutoring different from the local tutors or enrolling at a local language school? And best of all, we let you meet and speak to your future GMAT teacher before having to commit to paid classes! The more GMAT lessons you enroll in at the same time, the cheaper the hour of class gets. Still not sure if Live Lingua GMAT tutoring is the right choice for you? Then just try a free lesson with one of our tutors to make sure. No risk, no commitment. "Communication is very important in my business, and with [my English tutor] I am able to work on my fluidity and accent for a price I can afford. I recommend Live Lingua to anybody who wants to learn English." "This is especially useful for people with a disability like me. I am in a wheelchair and had trouble getting around. With Skype lessons [with Live Lingua] I can take the classes without any problem."